Just this morning, a slightly shrouded Google+ post surfaced with some very, very interesting claims. If you are looking for a 13inch Chromebook flip (Not Asus), with FullHD desplay, wrapped in beautiful cut aluminium with a Octane Score of just over 9k, can be opened with one hand and can play 4k YouTube… And much more, you won’t have to wait much longer. I have one in my hands and it amazing. I am not allowed to take any pictures or share specifics just yet. But I have been told it just be released very very soon and will be priced in the middle ground of entry and premium Chromebooks. So, let’s line up what we know and can gather from this. 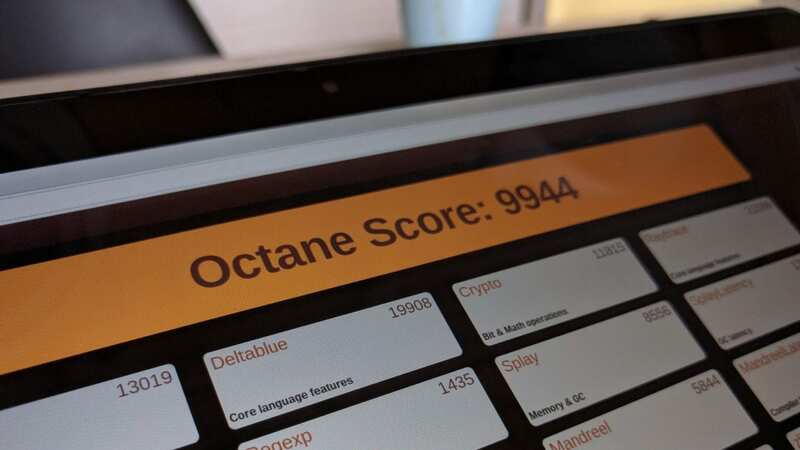 The Octane score alone is quite a clue. The original Rockchip-powered Chromebooks scored in 7,000 range pretty regularly. With all the upgrades coming to the RK3399 chip, a 10,000 score on Octane seems to fall right in line with expected performance gains. The mention that it is a 360-degree hinge also lines up. You can see the details on what we know about ‘Kevin’ here. Before being removed, the comments also mentioned that the battery life is quite good. “After a couple hours usage with brightness at max” leaves the battery at 84%. That’s impressive and plays right into what we know is the strength of ARM processors in general, only furthering the likelihood of the RK3399 chipset. So, we feel pretty confident that this could be ‘Kevin’ in the flesh, erm, aluminum. The one thing we don’t get here, and perhaps won’t get, is any mention of pen input. We don’t know for sure how the fellow Chromie came to possess this device and we aren’t sure what he is or isn’t at liberty to divulge. So, the pen part may be something he is not allowed to mention. But, we’re speculating here, so who knows! Either way, it looks like a new, awesome Chromebook is about to hit the market. We think it’ll be the first of many over the next few months.